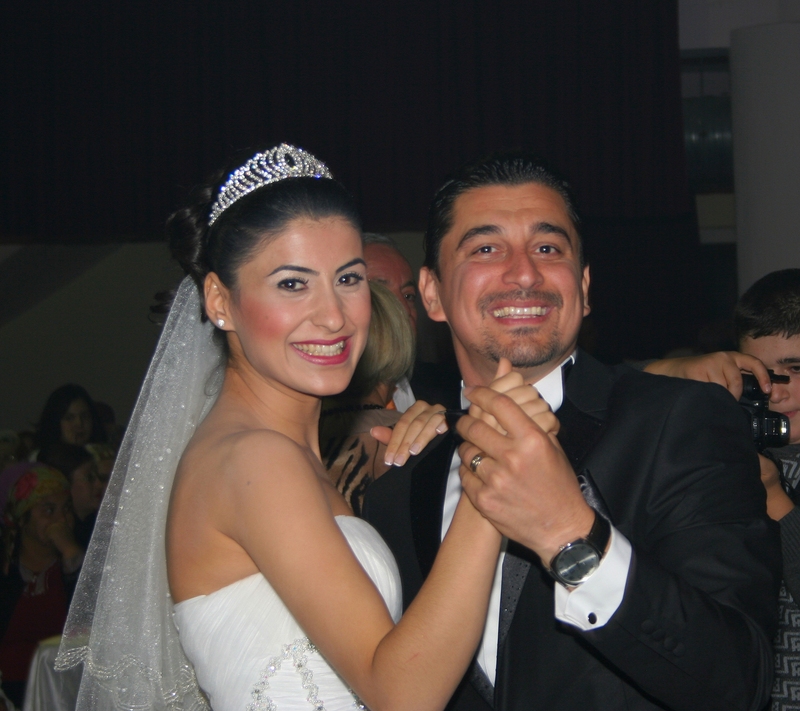 Last weekend I went to the wedding of my friend Suleyman’s daughter. She had asked me to take some photographs so in an effort to make it easy for her to share them I made a website so that she could send the address to all her friends. Here is a LINK to the site if you’re interested in having a look. About three years ago the remote control handset for my satellite decoder started acting up. I fitted new batteries and pressed the buttons harder but it didn’t make any difference so naturally, being me, I took it to bits. After a few minutes examining everything it seemed to me that the rubber buttons that you push have a carbonised rubber tip which touches two contacts on a printed circuit board and makes a connection. The carbonised rubber was worn and cracked on some of the buttons causing the connection not to be made. Ok I thought, I can glue some tinfoil on the business end of these buttons and it will work again. So I did and it did and everything was sweetness and light in my house…..until last week. The remote control stopped controlling, anywhere from remote to very very close. I went to town to see about getting a new one. It was seven years old and an unusual model (of course it bloody was!!) so I could not get a new one. Universal remotes don’t work with my “unusual model” decoder. I had to buy a new decoder complete with remote control. So I did. Yesterday. So in the evening I sat down with a glass of wine and the user handbook (in Turkish) and the new remote controller to see about setting it up. It’s only a new piece of electronics and my Turkish is ok, not fluent but I have a dictionary. How hard can it be? This afternoon the man from the shop came and put the decoder card in the right way up!!!!!!! !